Black Friday is the biggest day of the year for shopping but that doesn’t mean that stores are the only businesses to benefit from the Friday after Thanksgiving. If people are going to be out shopping all day, chances are that they will work up a huge appetite and look for somewhere to eat. Unless they plan ahead and bring along some snacks, they will probably be heading into your restaurant. Because of this, it is important that restaurants are ready for crowds that are larger than usual and more tired as well. Here are some ways that restaurants can be ready for Black Friday shoppers. The most important thing that any restaurant owner needs to remember when getting ready for Black Friday is that they will need to have plenty of staff on hand. This includes everyone from kitchen staff to servers and hostesses. 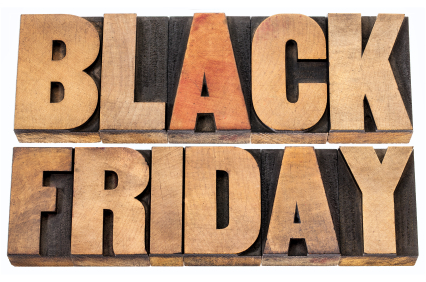 On Black Friday there will be more people out shopping than usual and if you are located near a shopping center or a big name store, chances are that your restaurant will get a great deal of walk-ins. They will also probably be in a hurry so they can continue their shopping so they will want quick service and the best way to do that is to have enough staff on hand. All restaurant owners need to be aware of how much food they have on hand at all times but this is especially important on Black Friday. Some people may make reservations, but most people will just walk in for a break from their shopping. This means that you need to have an accurate idea of how many customers you think you will get and have the appropriate amount of food on hand. While you never want to waste food, it is better to have too much available than to run out halfway through the day. One unfortunate aspect of Black Friday is that it brings out the worst in some people. While most of your walk ins will be made up of perfectly reasonable and patient customers, any restaurant needs to be prepared for an increase in the customers that cause conflict. It is important to remember that on Black Friday, customers will have slept less, been up since very early in the morning and may be upset about a great item in a store being out of stock. If they are already in a bad mood, they may let it show in your restaurant so be sure to warn your staff to be extra patient. When it comes to Black Friday, your restaurant will be competing with others nearby in order to get in the foot traffic necessary. A great way to help beat out the competition is to advertise a few holiday specials. For most people, Black Friday is when the Christmas season begins so try offering a festive drink, food item, or dessert. The great thing about these items is that you can charge a bit more for the novelty of it and because it is the holiday season, customers will be willing to spend the extra money. People go out on Black Friday to shop because of the great deals and they will be more likely to select a restaurant if it offers the same thing. You can advertise a special discount for the day on certain items or pass out coupons or gift cards for customers can use in the future. This is a great way to take advantage of any new customers and make sure that they come back to your restaurant again. Some shoppers will come into your restaurant on Black Friday when they are done shopping for the day, but others will want to continue shopping afterwards. Because of this, it is a good idea to offer some meals that are quick to prepare and serve and make sure that they are clearly marked on the menu or listed as daily specials. If someone is in a hurry to keep shopping, they will be more likely to pick your restaurant over a competitor if they know that there are certain menu items that will be served quickly. It also means you will be able to serve more customers and thereby increase sales.